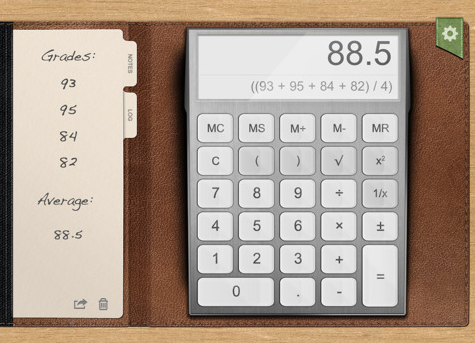 Working in collaboration with iPad and iPhone developer 7th Gear, Overit Media recently wrapped work on the design of a new calculator app for the iPad and iPhone. Overit Media’s design team worked closely with 7th Gear in order to deliver an engaging experience via design and UX for its upcoming release of the app. The iPad and iPhone app that Overit designed is NOW available in the Apple App Store for free download. Judging by the rave reviews and having recently ranked #52 (right after release) in the App Store for free downloads, people are loving it. Do you? Comment below and let us know what you think. It’s my new default calculator on my iPad and iPhone… nice job guys! She’s an absolute beauty, and I am recommending this app to my friends for their iPads. I love how the skinned textures look (leather, fabrics, etc) — very nice fit for the iPad indeed. I usually just use http://www.omerusapp.com. I’ll give yours a try. Thanks.